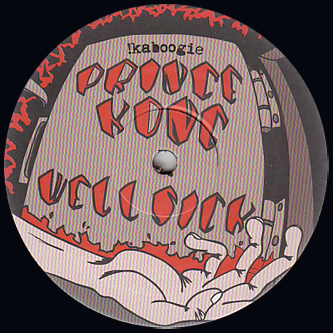 Prince Kong ramps up another platter of gnarled raggacore sickness, this time feat. Warrior Queen, and a slew of fiery MCs. 'Load It' adds Jah Balance, Problem PG and Anthony Que to a kick driven stomper while Warrior Queen puts in a hard performance over tumbling Ragga riddim hits on 'Move Up' sounding like The Bug's hyperactive cousin. Lady Grew steps over the scorched earth blasts of 'Sub Denata' and Brazilian MC Quilombola spits pebbledashed vox over 'Stampf'. Hard.